On December 11, 2014, a federal jury awarded $900,000 to Eduardo Cervantes for physical and emotional pain and suffering. 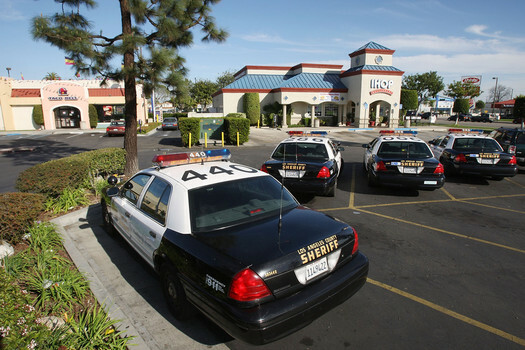 Cervantes was punched in the face by a Los Angeles County sheriff’s deputy in a Maywood parking lot in 2010. He was sitting in his parked car outside a billiards hall, when two sheriff’s deputies approached him. Sheriff’s deputies Paul Cruz and Victor Cisneros wanted to cite Cervantes because his car windows were tinted. According to the lawsuit, Deputy Paul Cruz ordered him to get out of the car. Both deputies became angry when Cervantes asked why he is being told to step out of the vehicle. Cervantes, who wears a prosthesis on his right leg, got out and complied with commands to face his vehicle and put his hands behind him. In spite of his cooperation and non-resistance, Deputy Victor Cisneros punched him, and both deputies then knocked him backward. The deputies claimed that Cervantes put up a fight and threatened to spit on them. They further asserted that Cervantes struck his head on the pavement when he fell. According to the lawsuit, Cervantes suffered headaches for several years and has vision impairment stemming from the incident. He was initially charged with resisting arrest, but the charge was later dropped. The jury decided that Deputy Cisneros used unreasonable force and that Cervantes’ arrest was unjustified. They declined to award punitive damages. Los Angeles County officials are currently contemplating whether to appeal the verdict. Paul Cruz is no longer with the department. Victor Cisneros still works as a deputy for the Los Angeles County’s Sheriff’s Department.